At Eclipse Training Solutions we work with you to develop effective and affordable training resources for workplace safety, competence and compliance. Our web-based programs and record-keeping system make management and tracking easier and more affordable then ever. Charge competitive rates for services and e-learning programs — no pay-per-user fees! Develop comprehensive resources that meet your specific needs. Conduct JAM (Job Analysis & Mapping) sessions with your employees. 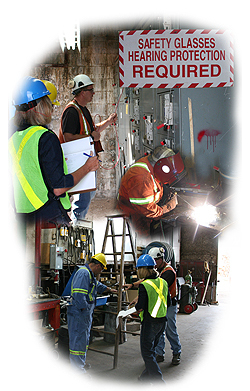 Work with you and your employees to develop safety and job-specific programs for any topic in any industry. Provide record-keeping systems with automatic updating and notification. Host your training system and records, allowing you access from anywhere, and us immediate access for updates. The Mandatory Training feature has now been added to the online record-keeping system. Now you will be able to setup any mandatory training that is necessary for your location and print a report detailing who needs training, has expired training, or has not taken the training yet. A tracking and recording feature (when an individual views documents such as policies) has been added to the online system. Track when a document has been viewed, and the frequency at which it is required to be viewed. Email notification option is available in the online record-keeping system.